Need more clarity when using the guidebook? 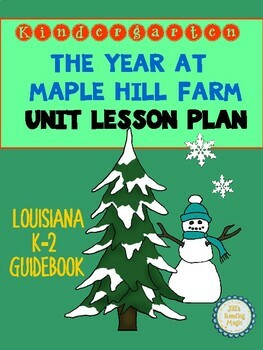 Here are daily lesson plans for the entire Year at Maple Hill Farm kindergarten unit! 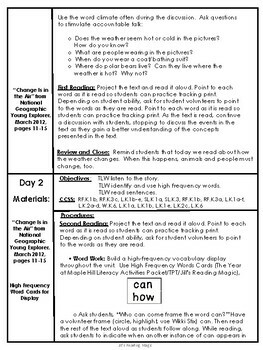 Each daily lesson contains CCSS standards, objectives, procedures, and materials to make your instruction easier. 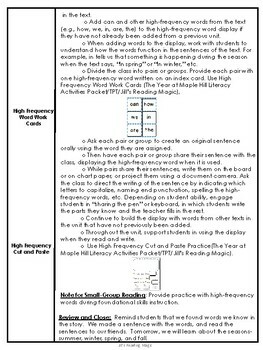 Additional printables are included in this unit plan! All materials correspond to The Year at Maple Hill Farm Literacty Activities found in my store. 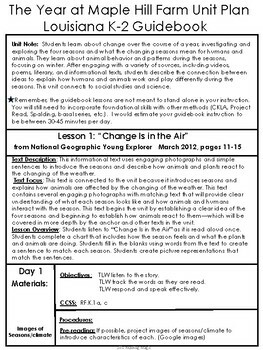 All lessons are in a five day format, except for one three day lesson. Don't forget to leave feedback or suggestions regarding your needs for guidebook instruction!